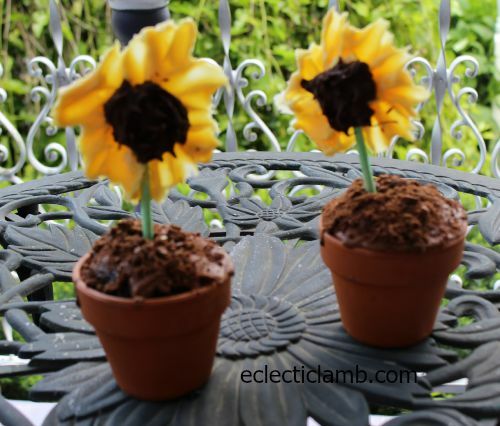 My nephews and I made these sunflower flower pot cupcakes as part of our 100 Summer Activities list. 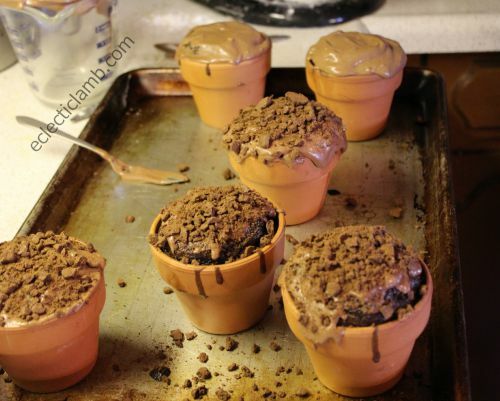 I had the terra-cotta baking pots for about 20 years and it was my first time to use them. We followed these directions for the sunflower but not the pot. We used these directions for the cake. My nephew crushed up chocolate teddy grahams for the soil (it is what I had in the house) and I made a simple chocolate frosting. They were very sweet but looked cute. I want to make bread in them next. They look so yummy! I think it’s great that you are doing this activity with your nephews. They are very lucky to have an aunt like you! Thank you so much! I am sure that some days they do not feel lucky but overall I think that we have a lot of fun.